I wonder if I had a green house if I could grow stuff... hmmmm... probly not. I'd probly still kill it all. Those are GORGEOUS! 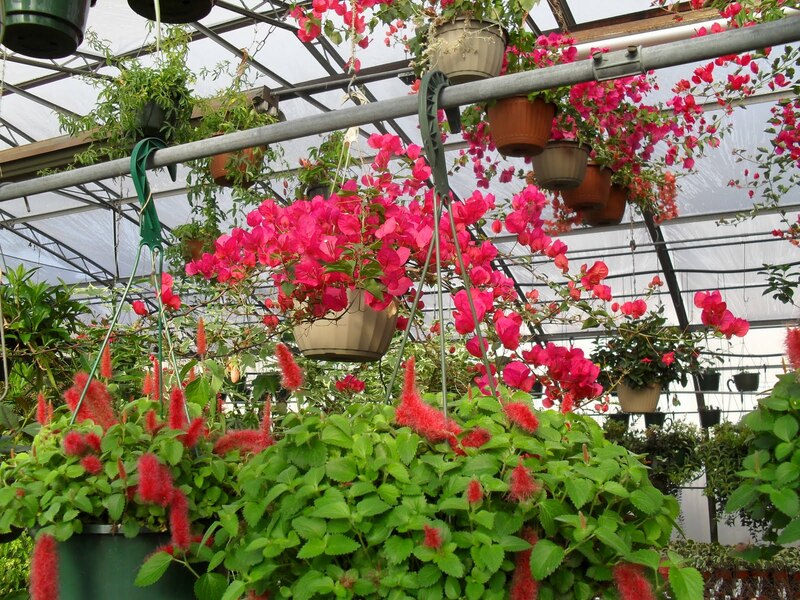 I love to go to the green house and buy stuff... but I have to go every week! I love those flowers that hang down like that. It makes me feel like flowers are raining down like fireworks. Beautiful! You could bring a couple of those and hang them from my back deck!